for the community who have been or will be affected by cancer. 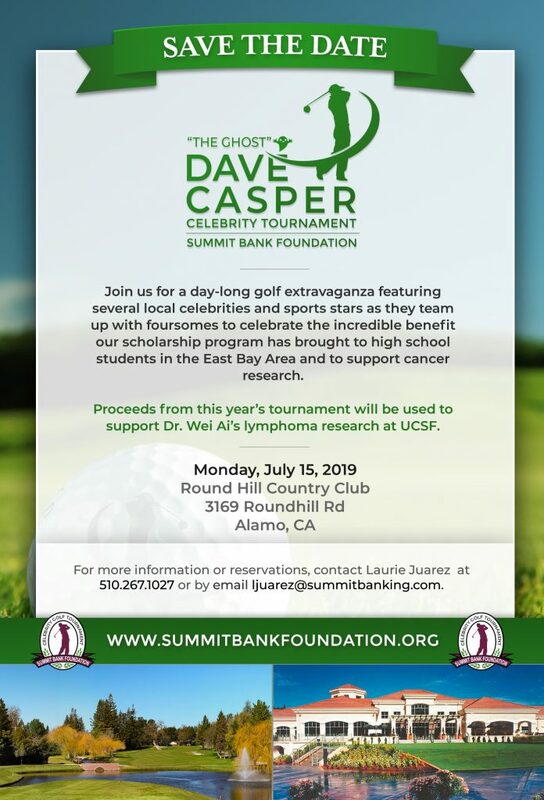 Join us for a one daylong golf extravaganza featuring several local celebrities and sports stars as they team up with foursomes to celebrate the incredible benefit our scholarship program has brought to high school students in the East Bay Area. This year we are raising money for Dr. Wei Ai’s lymphoma research at UCSF.